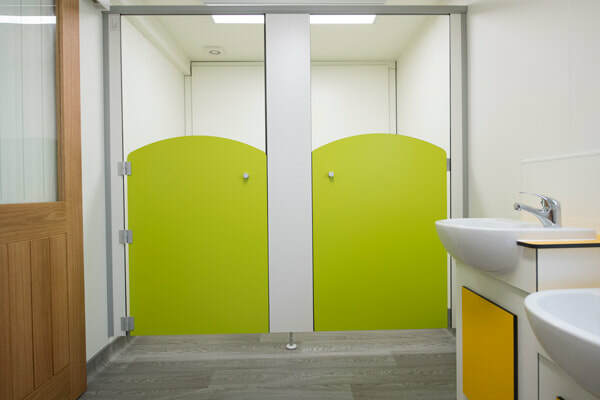 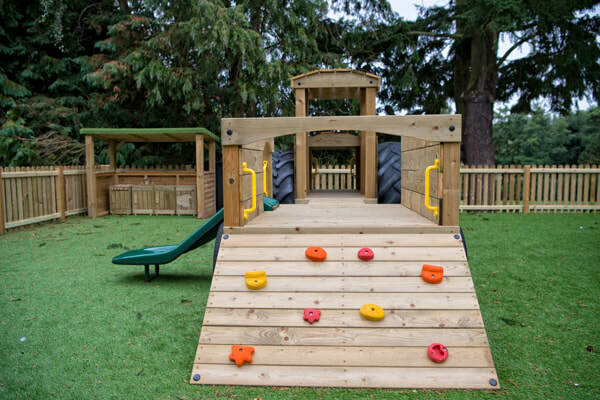 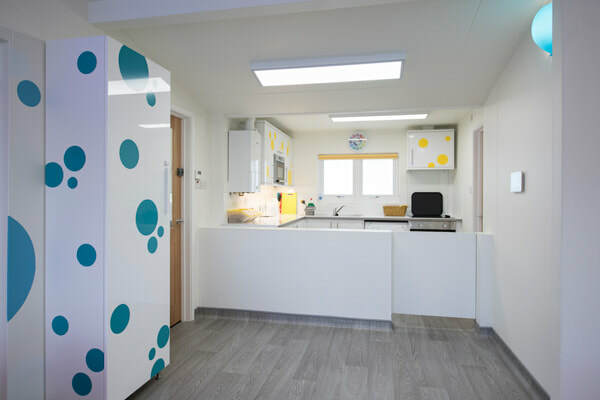 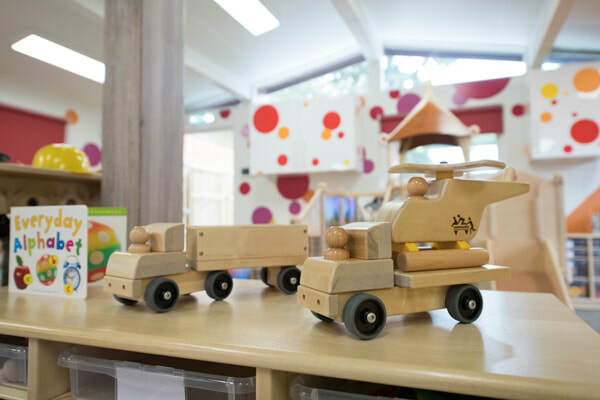 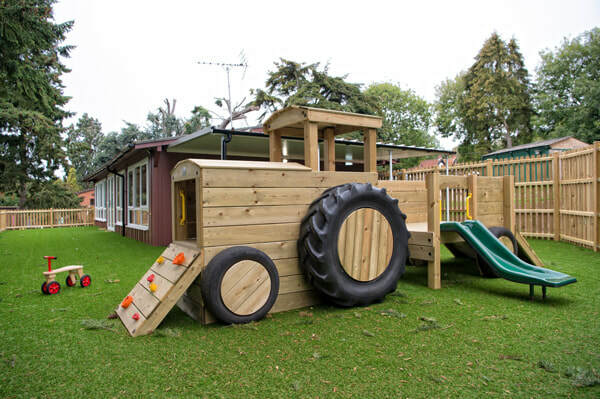 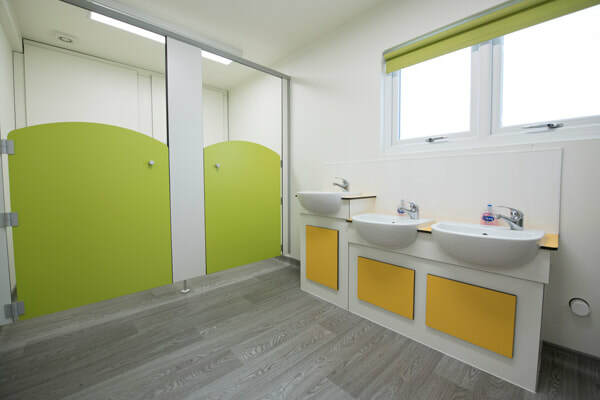 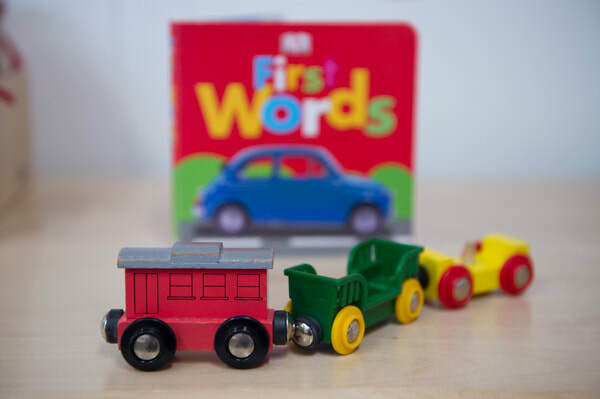 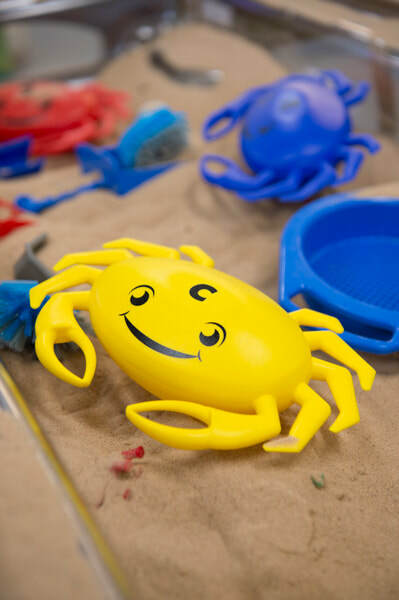 When Kent College, Canterbury, made the decision to open a Nursery - effectively enabling them to take children through from 6 months to 18 years - they wanted a space that was fresh and fun! 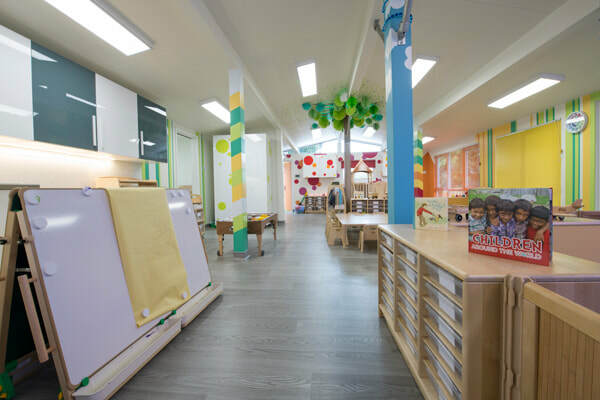 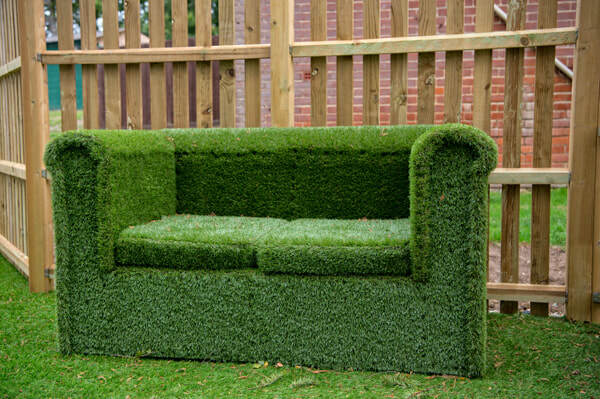 The brief was to design a nursery that worked for both the children and the staff. 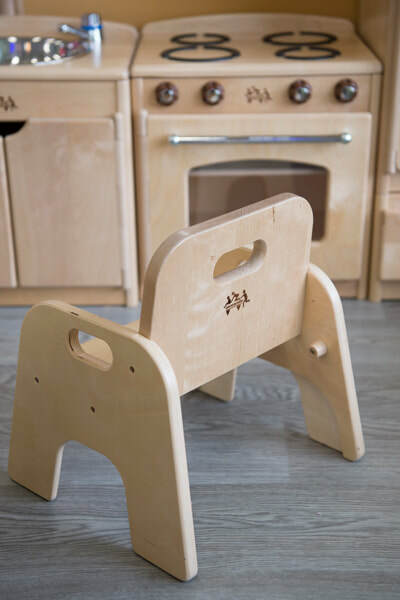 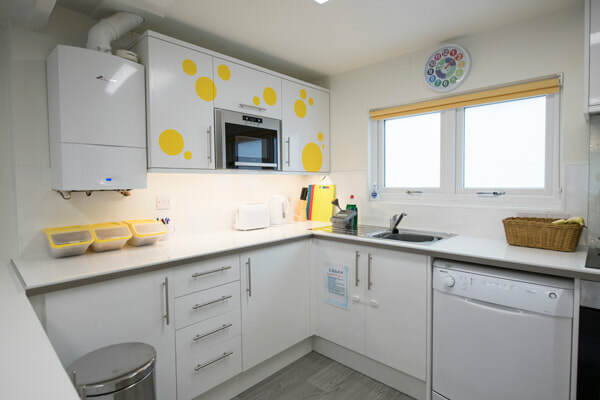 It needed to be easy to clean & maintain, and allow flexibility for children to play, learn, sleep and eat (including a kitchen to cook for the pupils)! 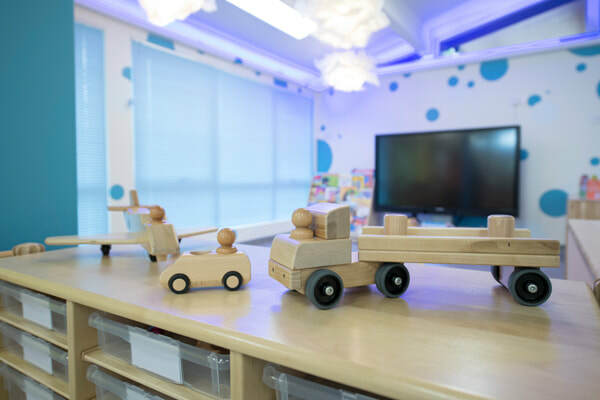 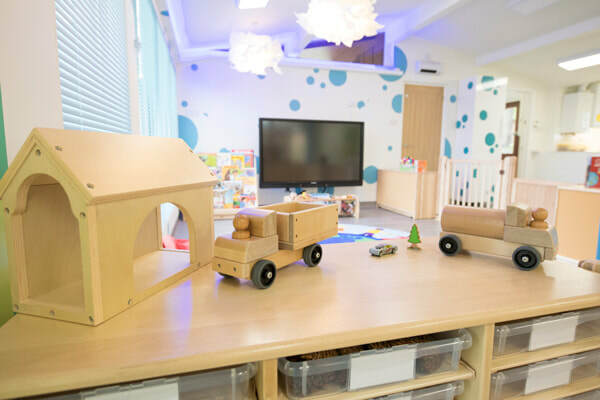 Staff needed to have good visibility throughout the space and children needed to be able to access toys themselves - without relying on adults to help them. 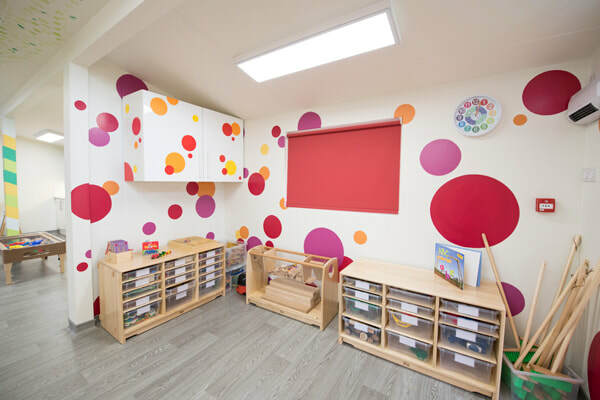 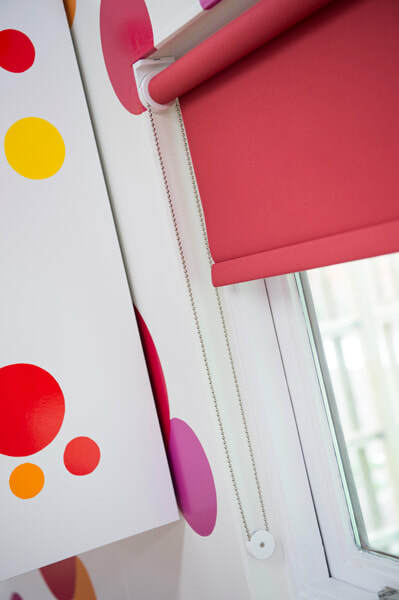 The focus was to introduce colour without overwhelming the space - ‘hot’ reds, pinks and orange were used in the active play areas whilst calmer blues were used in the sleeping & reading space. 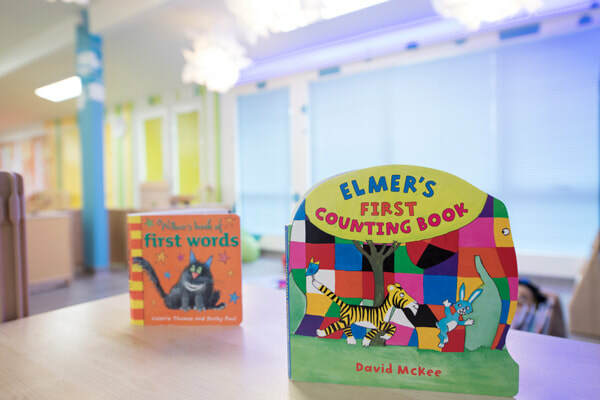 I used repeating geometric shapes on the walls - rather than themed children's characters which might date quickly - to add colour splashes. 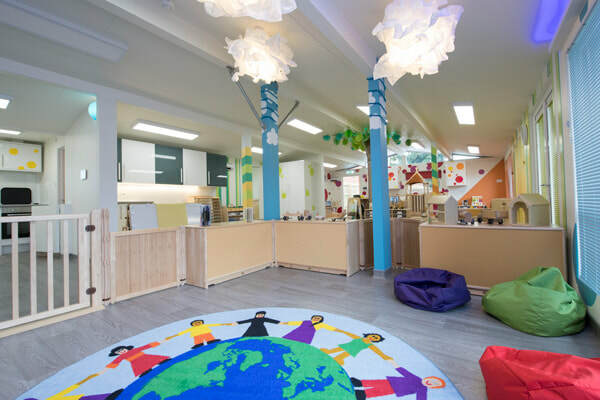 A number of structural pillars were also given the design treatment - including one pillar which was designed as a tree - with Pom Pom foliage and green LED lighting in the canopy. 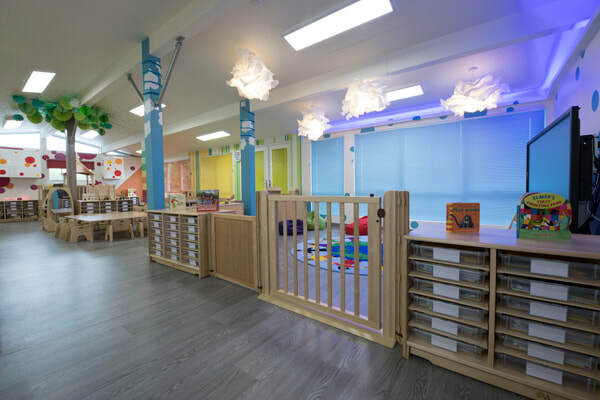 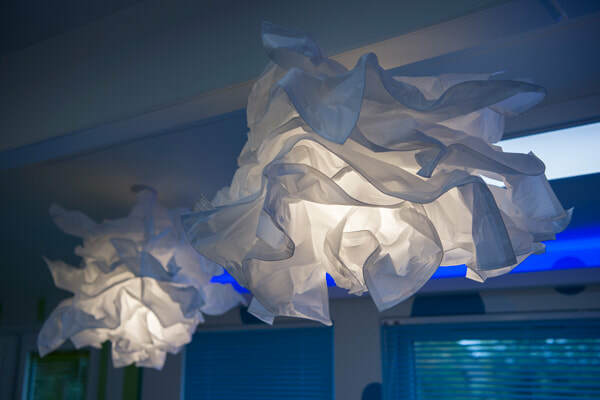 Lighting was a key element throughout the nursery - allowing further flexibility in use of the space - from fully lit for play and cleaning to more subdued lighting at sleep time - including cloud shaped light shades and blue LED strip lighting in the sleep area. 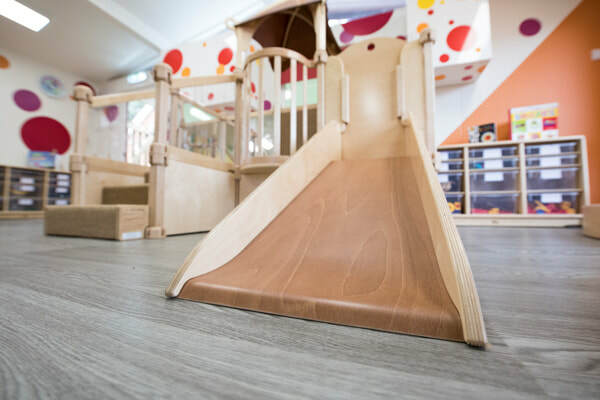 The flooring is hard wearing and easy to clean - but also soft for children (who are largely on the floor) and with underfloor heating.